After watching this film, you WILL be hungry. So join us for some mouth-watering Filipino food at cineMerienda on Sunday, May 6th at 6:00 pm at the James Irvine Japanese Garden @ JACCC. Separate ticket is required. 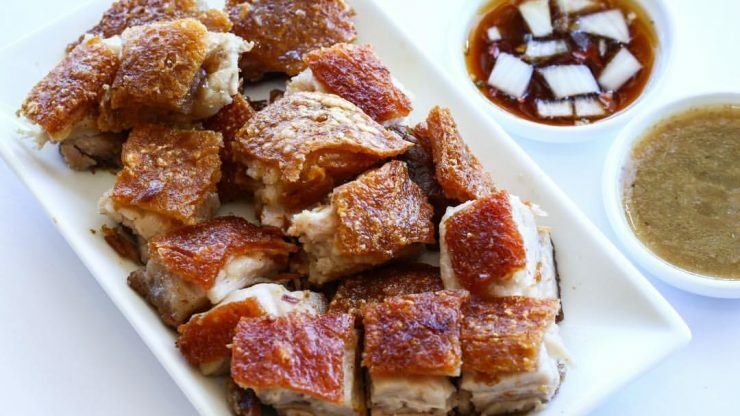 “Could it be that Filipino food, the underdog of Asian cuisines, is having its moment at last?” (New York Times). Featuring Alvin Cailan (Eggslut, Unit 120), Nicole Ponseca and Miguel Trinidad (Maharlika, Jeepney), Charles Olalia (Ricebar), and more, follow the rise of the Filipino food movement via the chefs crossing over to the center of the American table. Kain na! American tastes have long gravitated to Asian cuisine. Chinese restaurants can be found in the smallest of towns, while Japanese, Korean, Indian, and Thai food continue to take over hipster neighborhoods in large cities. As Asian fusion buoys a cultural renaissance, one has to wonder, when will Filipino food get the same treatment? 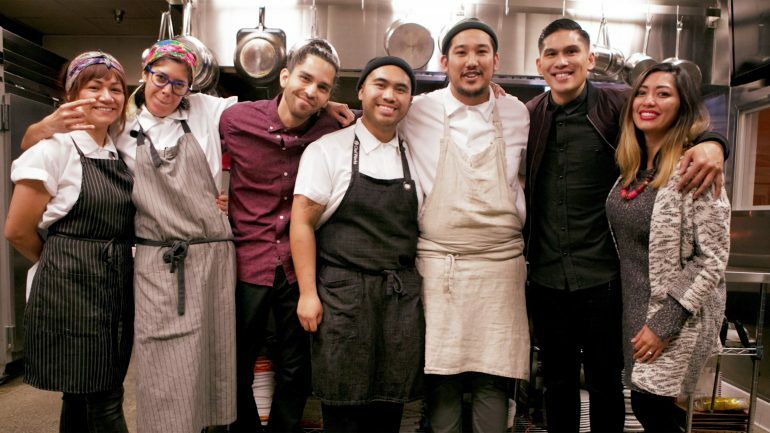 ULAM: MAIN DISH chronicles the success of eleven Filipino-American chefs as they navigate the crowded restaurant landscape. Documenting this important moment in food culture, director Alexandra Cuerdo deftly balances the chefs’ varied stories of achieving success, allowing each to have their own voice. Situating their aspirations in historical context, she insightfully shows the connection between the chefs, their food, and their culture. During her time in advertising, Filipina-American chef Nicole Ponseca sought her own connection. Client after client would ask her for food recommendations on everything except Filipino food. “Where does Filipino food fit in this conversation?” she asks, continuing with “where do I fit in this conversation?” This question of ‘fitting in’ becomes a common thread that these chefs all try to answer for themselves. Alexandra Cuerdo is a Filipino-American director, producer and editor. Her directorial debut, ULAM: Main Dish, has been featured in the New York Times, the Los Angeles Times, BuzzFeed, Vogue, TimeOut, Eater and more, with MSN ranking it as one of the “Top 5 Food Documentaries to Watch” now. As a content producer, her videos for BuzzFeed have achieved over 150 million views and over 1 million shares on Facebook. Sundays with LAAPFF just got tastier with cineMERIENDA. There’s no better way to digest a movie than with snacks in your belly. Dish about the afternoon films while eating local dishes - pinoy style!